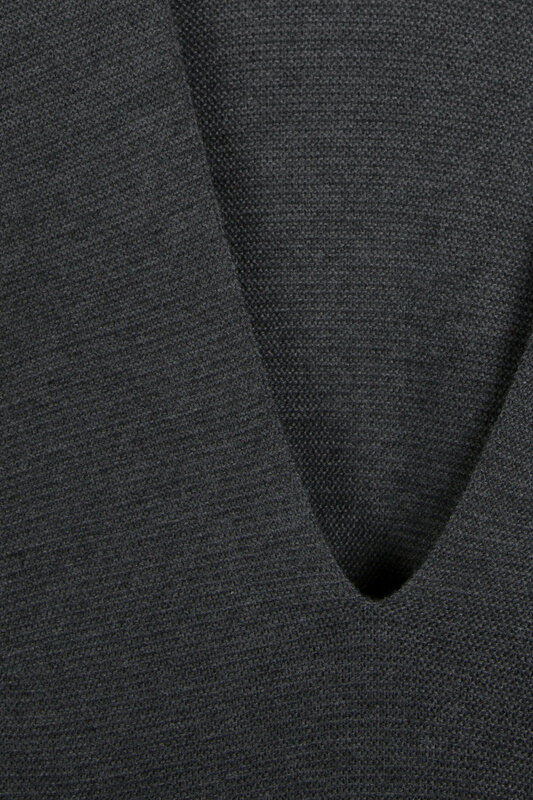 A dress version of our Sweater 2111, this sweater dress features short sleeves, an oversized silhouette, and a front and back v-neck for a feminine touch. 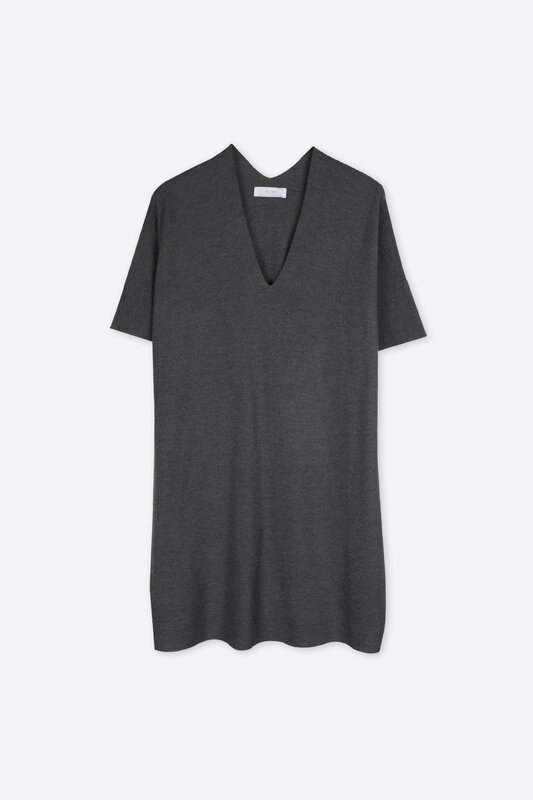 Lightweight and comfy, this minimal piece is perfect for the upcoming warmer weather. Pair with a denim jacket and sneakers for cute and casual look.